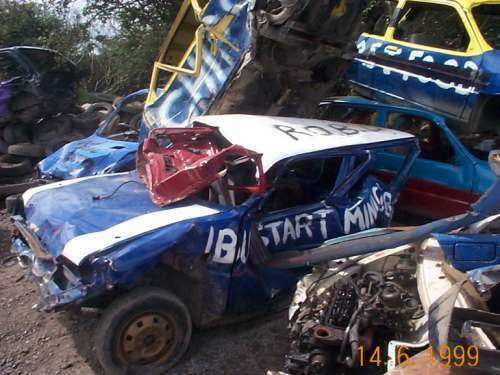 It was decided that as they were holding a special team Metro Banger racing meeting at the ST Columb Raceway it would be FUN to enter a Bumpstart team. So the word went out and 4 metros where obtained and various members spent a few weekends stripping them out and fitting h frames, dizzy guards, petrol tanks etc. 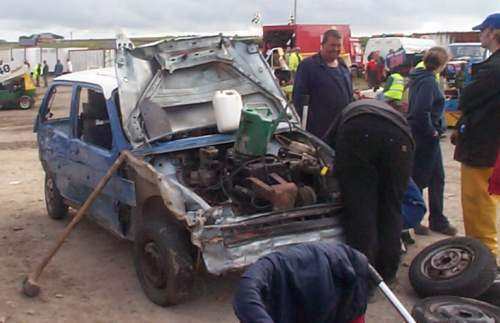 Much more work goes into banger cars than what you would think! The day arrived and we showed up with the cars below, no spares other than 12 spare wheels, 3 sledge hammers, a compressor, not much of an idea and 4 fairly willing drivers. Now I drove Chris on the parade lap and thought that this looked like fun, but after the first couple of races and the Air Ambulance turning up a couple of times Ive decided that I made the right decission not to drive! but our drivers still loved it and were begging for more, throughout the day we did quite well and managed to keep our cars running. 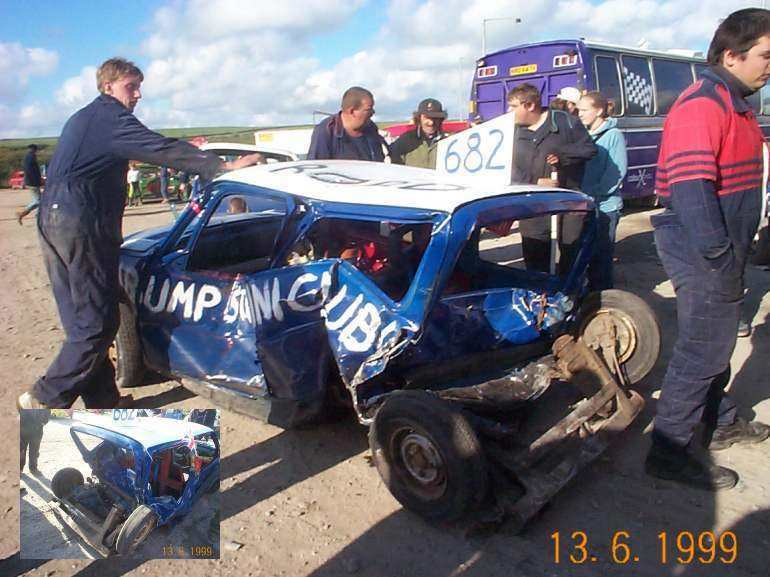 Now hit of the day surely must of go to Rob who received the most almighty hit from the rear which shoved his car about 25 feet across the track and shortened his Metro by half! And any last words go to the reminants of robs car found on the scape later on!